Think back to your high school electives. You may have edited the school newspaper or made enchiladas for Spanish club, but did you provide business advice to local startups? In DSST E-Ship, the entrepreneurial studies program, students not only learn problem-solving, entrepreneurial skills; they also have the chance to consult with actual businesses. DSST E-Ship is a four-year-old program directed by Jeremy Wickenheiser, a DSST veteran teacher who seems to always wear a slight grin when he’s describing the program. He has good to right to be smiling—the program now serves 600 students on three campuses. Each DSST high school junior completes an internship somewhere in Metro Denver. During their senior year, students frequently take the knowledge and relationships from their internship to develop a senior project. In lieu of this project, some students elect to take an E-Ship seminar. Here they use lean startup and design thinking methodologies to consult for two startups and establish their own ventures. This is similar to the way students are encouraged to explore their identity in DSST Stapleton High School’s Life Skills class. The E-Ship program currently serves middle school students (DSST: Green Valley Ranch), high school students (DSST: Green Valley Ranch and DSST: Conservatory Green), educators and alumni. Wick attributes its success to having external stakeholders and real-world applications. For example, at GVR Middle School, students in the entrepreneurship club consulted the DSST Middle School @ Noel school director on the particulars of the new campus. They visited the campus, looked at spaces and are managing a budget for that school’s visual culture. 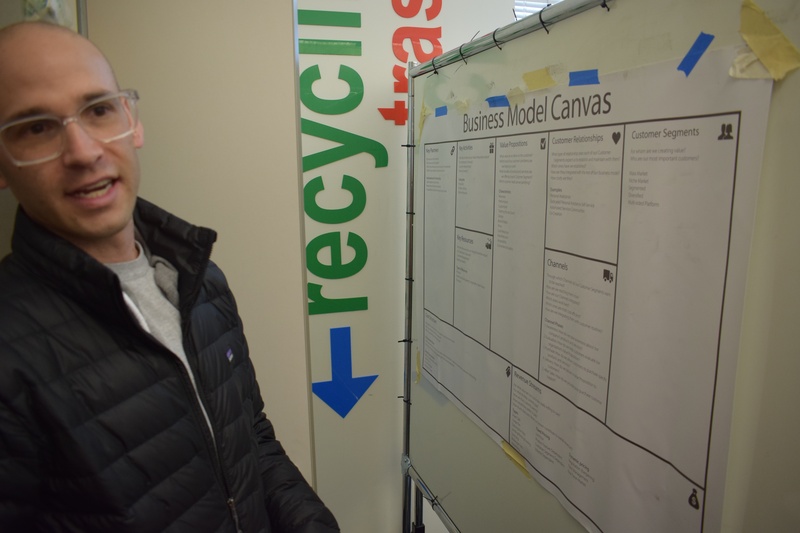 On the ninth grade level, students learn design thinking and lean startup methodology so that they can answer real-world questions that businesses face. This past fall, students were tasked to create solutions for Flint’s water crisis. Senior students have worked with local startups such as Revolar, CommercialTribe and Prodigy Coffee, providing recommendations to real-world problems to executives. Student teams also validate and prototype their own ventures. The learning doesn’t stop in the summer! Graduating E-Ship students have the opportunity for global experiences, learning from entrepreneurs in places like Guatemala, Slovenia and East Africa. Meanwhile, alumni can also pass on their E-Ship skills to younger students in a summer program focused on web development and company visits. Finally, DSST educators learn E-Ship methods in a multi-day summer workshop so that they can incorporate real-world scenarios and partnerships into their curricula. In the long term, DSST E-Ship participants are showing greater engagement in college and greater persistence in completing college. Though the first cohort of E-Ship students are only college juniors, 75 percent of them are projected to graduate from college in 2019, more than triple the national average. What’s Next for DSST E-Ship? 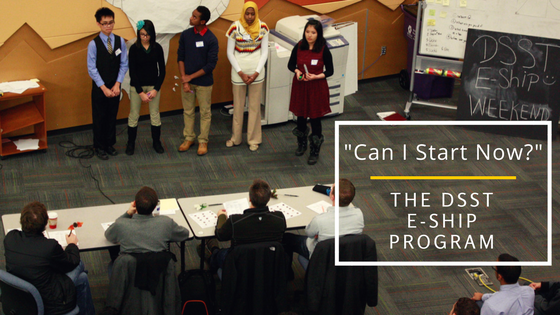 DSST E-Ship is expanding, and we’re excited to share this innovative program with more students in our network. The goal is to grow this program to 1,300 students across seven schools by 2021/22. 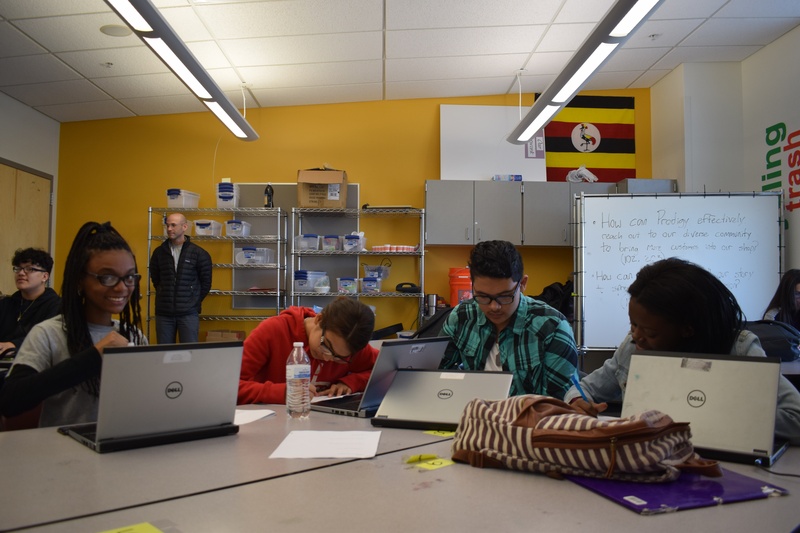 If you are interested in supporting the next generation of Metro Denver entrepreneurs, or if you would like to learn how your startup venture or business can get involved in E-Ship, please contact Jeremy Wickenheiser at wickenheiser.jeremy@scienceandtech.org.